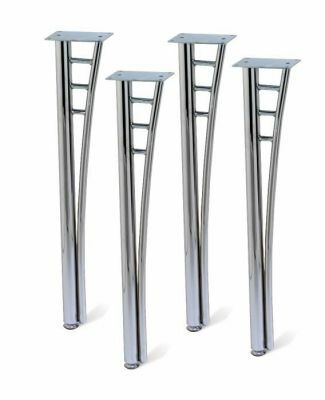 Stylish Chrome legs available in a set of four. In stock for immediate delivery within approximately two to three days once ordered. Ladder style detailing on each leg. Free delivery across the United Kingdom. 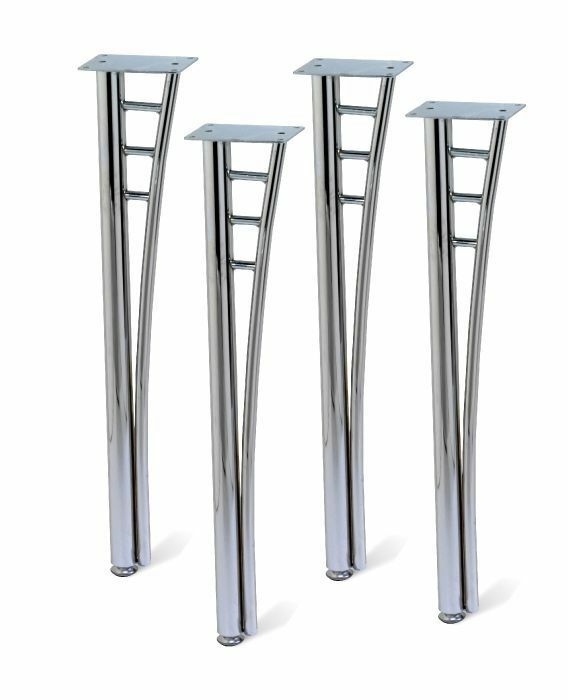 Designer café table legs in a designer ladder style frame that can be used with a number of difference café table tops. This item is held in stock for a convenient delivery service.